The Indiana bicycle accident attorneys at Caress Law Group will be the first to tell you that our State has made great strides in making Indiana a bicycle-friendly state. However, with that being said, the State of Indiana and the City of Indianapolis are far behind many other cities and states in updating and revising our bicycle laws. 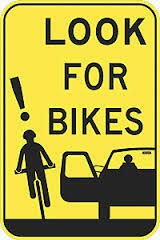 For example, bicycle-heavy cities like Chicago have “dooring” laws in place, which assign liability on a person who opens his or her car door into the path of a bicyclist causing injury. There is no law that addresses bicycle doorings in Indiana. We feel it is pretty simple for a motorist to check his or her mirrors before opening the car door on a busy street, but this type of law has not been enacted in Indiana, ultimately leaving liability for a jury to decide, should the case proceed to trial. The City Council of Carmel, however, recently took new proposed bicycle rules to a vote. The proposed rules include restrictions that are not yet in existence in Indiana legislation or in any Indiana city ordinance. These new rules would not allow cyclists to ride two abreast on Carmel’s trails and greenways, would require motorists to maintain at least three feet of distance from a cyclist when passing the bike on a street (Indianapolis, South Bend, and Ft. Wayne have already done this), and would ban cyclists from riding their bikes on any Carmel sidewalk. One of the main motivations for these new bicycle laws in Carmel, Indiana is an attempt to curb the increasing amount of bicycle accidents and pedestrian accidents in Carmel, particularly along the Monon Trail. As many of you know, the Monon Trail is narrow, making it difficult at times for multiple bicyclists to ride abreast at the same time. A violation of these proposed bicycle ordinances in Carmel would lead to a $100 fine for first time offenders. The final vote was tabled on Monday, May 20, 2013, as many people felt these punishments were excessive. Other opponents of the new biking ordinances did not agree with making their children ride their bikes exclusively on the road, as they would be banned from the sidewalks. The personal injury bicycle lawyers at Caress Law Group fully support bicycle safety laws such as the bicycle ordinances proposed by the City of Carmel. As we mentioned, the State of Indiana (and particularly the City of Indianapolis due to its high cycling volume) needs occasional reform and updates concerning bicycle laws. We mentioned the example of “dooring” violations, but many more exist. This is why we are proud the see Carmel’s City Council take action like this, and we encourage bicycle advocacy groups throughout the state to do the same thing (although we might suggest letting the kids continue to bike on sidewalks!). The attorneys at Caress Law Group will continue to be a voice for the safety of Indiana cyclists. The bicycle attorneys at Caress Law Group also are well aware of the large amount of bicycle accidents on the Monon Trail. 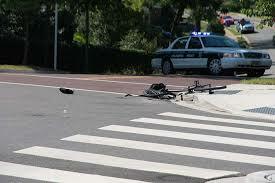 We take great pride in being pedestrian and bicycle lawyers for Monon Trail accidents in Indianapolis and Carmel. Even though these crashes do not always involve motor vehicles, the injuries from these collisions can be painful and devastating. If you or a loved one has been injured in a Monon Trail accident or any other bicycle or pedestrian accident, please call the bicycle lawyers at Caress Law Group at 317-255-5410 or e-mail us at lance@caresslaw.com. We know how life-changing these events can be, and we look forward to serving you.